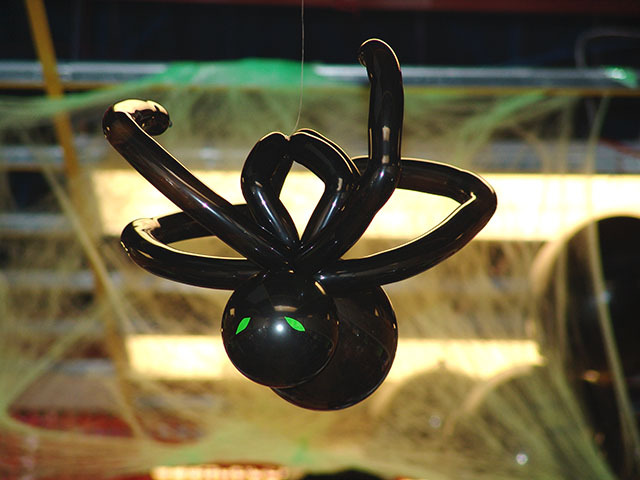 These balloon spiders, hanging from the ceiling of this party store, got the customers into the holiday spirit. 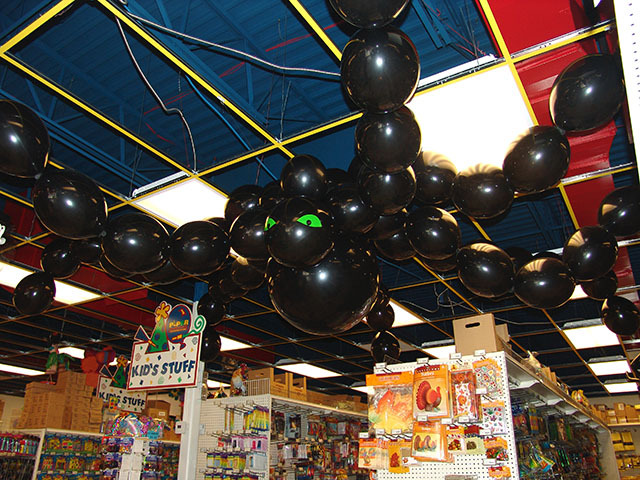 Whether large or small, balloon sculptures have a huge fun impact on your party space. Contact us and we will spin you up some! Cackle, cackle, cackle! Halloween is almost here! 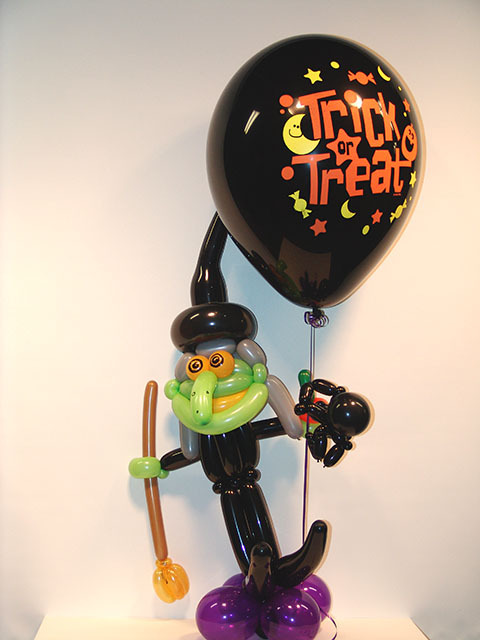 Here is a great twisted balloon witch to welcome its coming.